Yellowstone Wild, LLC. 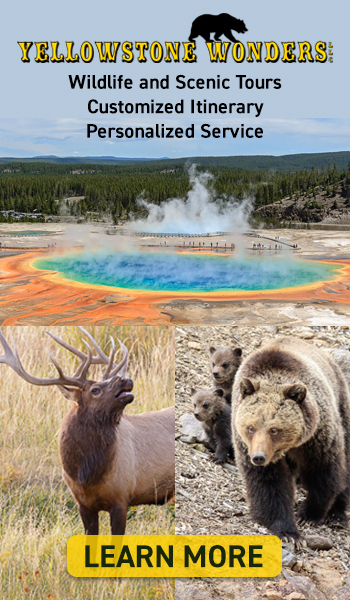 is now offering an exceptional all-inclusive tour package specially designed to experience the wild magic of Yellowstone National Park, while treating yourself to the luxuries of the brand-new Wonderland Cade and Lodge. 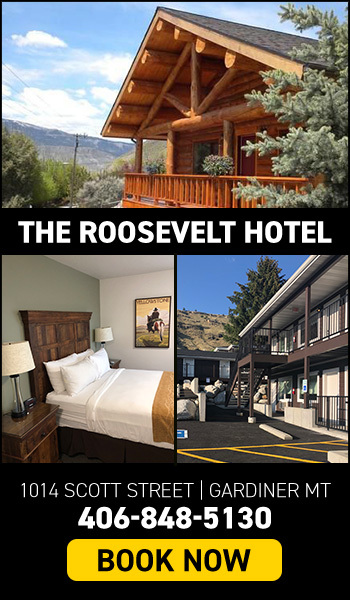 Located just one block from Yellowstone Park, in the town of Gardiner, Wonderland is the area’s first and only boutique eco-lodge where you can find rustic elements with all of the modern amenities to make your vacation the best it can be. Breakfasts and lunches will be catered by the Wonderland kitchen and enjoyed picnic-style at one of our favorite locations in the park. Dinners will be shared with local artists, researchers and/or storytellers in front of the Wonderland fireplace. Come explore the unparalleled beauty of Yellowstone National Park with experienced Yellowstone naturalist/biologist guides, Emil McCain and Evan Stout during one of the most beautiful and dramatic times of the year when the pristine wildness and solitude are unmatched. This adventure will focus on the famed Lamar Valley, and Yellowstone’s wildlife-rich Northern Range, highly revered as the very best place on Earth to see wild wolves. 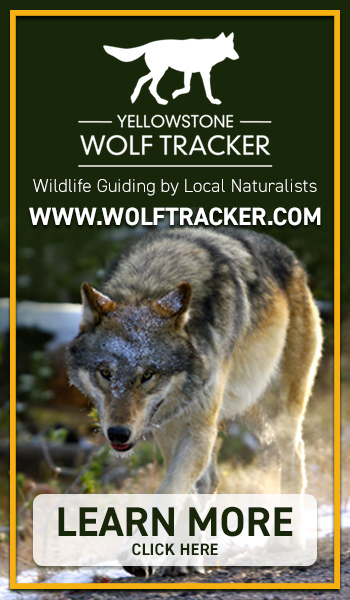 With possibilities to spend time with as many as five different wolf packs, your tour will also be quite educational, as we will explore complex wolf social behaviors, ecological impacts on the Yellowstone ecosystem, and specialized wolf hunting strategies that make the wolf the icon of true Wilderness. During our time on the Northern Range, we will also likely encounter moose, bison, bighorn sheep, mountain goats, coyotes, foxes, eagles, otters and more. Our new snow-tracking excursions are also an option to literally step off the beaten path and into the footsteps of Yellowstone’s wolves, cougars or other wildlife. This winter package can be booked privately for photographers or families alike for the dates and duration that suite your schedule and interests, or you can join a group during our prescheduled 5-day tours.